Chaturvedi, in her allegations stated that Irani has misrepresented her degrees in earlier affidavits. Congress spokesperson sang a parody of ‘Kyunki Saas Bhi Kabhi Bahu Thi’- a famous TV serial which also had Smriti Irani as its star cast, who played the role of the protagonist Tulsi Virani. “Kyunki Mantri Bhi Kabhi Graduate Thi’; its opening line will be ‘Qualifications ke bhi roop badalte hain, naye-naye sanche mein dhalte hain, ek degree aati hai, ek degree jaati hai, bante affidavit naye hain,” Congress spokesperson Priyanka Chatruvedi said. This time Union Minister Smriti Irani has revealed in her affidavit said she did not complete her Bachelor of Commerce (Part-I) a three-year degree course from Delhi University’s School of Open Learning in 1994. However, in her affidavit in 2014 polls, Irani had not mentioned that she did not complete the Bachelor of Commerce degree in 1994. 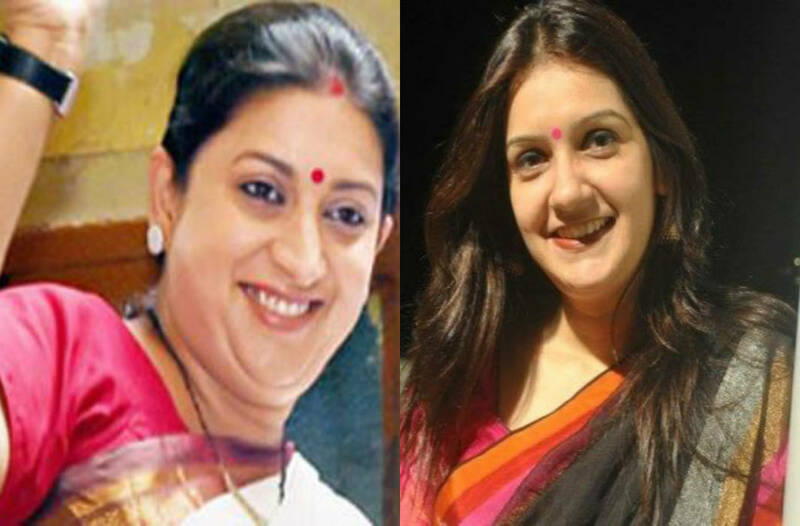 Priyanka Chaturvedi claimed that it was in variance with her 2004 affidavit where she claimed that she was a graduate in B.A from the School of Correspondence, completed in 1996. Meanwhile, Smriti Irani has hit back saying Congress can keep on insulting her but she’ll keep going ahead and will keep working in Amethi to win the election against Rahul Gandhi. According to Irani’s latest affidavit, she passed secondary school examination in 1991 and senior secondary school examination in 1993. As for her assets, Irani has declared it over Rs 4.71 crore. Her immovable assets are worth 2.96 crores, while in the movable category she has Rs 6.24 lakh in cash and over Rs 89 lakh in bank accounts. She also has over Rs 18 lakh in NSS and postal savings insurance and another Rs 1.05 lakh in other investments.